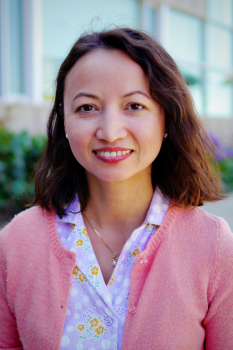 Trinh Kabbabe is the Foundation’s director of budgets, grants, and contracts. In this capacity, she develops the organization’s annual budget, builds program budgets for grant proposals to external funders, and manages the preparation of contracts to all service providers. She holds a bachelor’s degree in human development from the University of California at Davis. Prior to Carnegie, Kabbabe was a Governor’s Teaching Fellow during her post-baccalaureate studies to earning a Multiple Subject Teaching Credential, also from UC Davis. She has taught 4th and 6th grades in underperforming, public schools in the South Bay Area. After her teaching experience, she worked in finance for a global consulting firm.